We had Thanksgiving at my brother’s house this year (back when it was Canadian Thanksgiving, over a month ago!) and the part I was most looking forward to was the leftovers: specifically, the turkey bones. I had thought that my mom was making the turkey and bringing it over so I was certain that she’d let me have them. When I arrived (bringing along a simple quinoa salad), I realized that my sister-in-law was the official turkey roaster of the night. All of a sudden I got a little shy and didn’t want to ask for the bones. I mean, it’s a little strange, even if it is family, right? I was thinking that she had the bones destined for a wicked turkey soup, or even better, turkey congee, so I didn’t say anything even though I’d been dreaming of Turkey pho. But then, at the end of dinner, she offered up the bones to my mom, who offered them to me! Actually, now that I think about it, it was a good thing that my mom didn’t make the turkey because the last time wanted to make a turkey to bring over to my brother’s place, there was an incident that involved half-raw turkey, a locked oven and takeout fried chicken. But really, that’s a story for another day. Back to turkey pho: it’s totally untraditional (I don’t think they have turkeys in Vietnam) but completely delicious, maybe even more so than chicken pho. The broth feels even more flavourful and full of body: it’s clear and incredibly intensely satisfying. To me, there’s nothing that makes me happier than a bowl full of steaming hot noodles. I may not have the best chopstick skills in the world (read: horrible, horrible chopstick skills), but somehow when faced with a bowl of noodles I make it work. 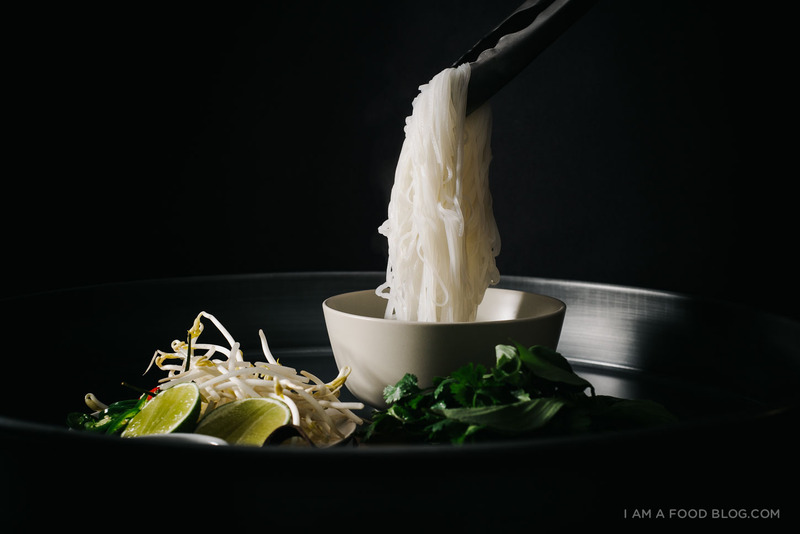 Piping hot slippery firm rice noodles, tender turkey, and umami-rich broth – turkey pho: I love you. Fill a pot with about 3 quarts of water and add the turkey carcass, ginger, onions, cinnamon stick, and spice packet. Bring to a boil and lower to a very gentle simmer. Simmer for as long as you can; reducing it will intensify the flavor, minimum 2 hours, I usually go for 4. After 2-plus hours, strain the stock and discard the solids. Skim the stock if needed. Keep the stock hot over medium-low heat and season with fish sauce and sugar. Add the sugar and fish sauce in increments until you’re happy with the flavor. Bring the stock to a roiling boil. Prepare your noodles according to the package and strain. Place noodles in a large bowl. Add a generous amount of turkey (the stock should heat the meat up enough, if you want it piping hot, dip it into hot water to heat), top with broth, and garnishes. Enjoy! PS – Happy December!! I’m so excited!! This is so pretty and delicious!! 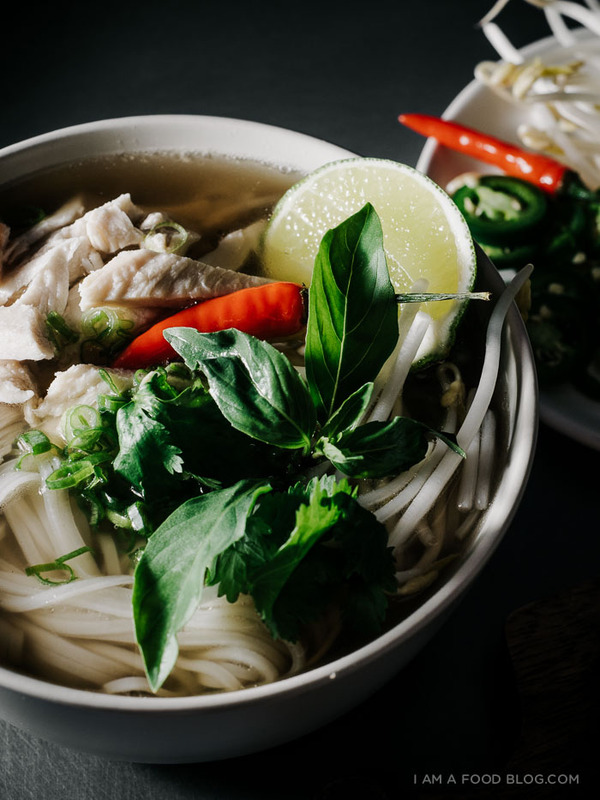 It’s been cold and rain all week long, and now i’m craving for this pho. Slurp…. 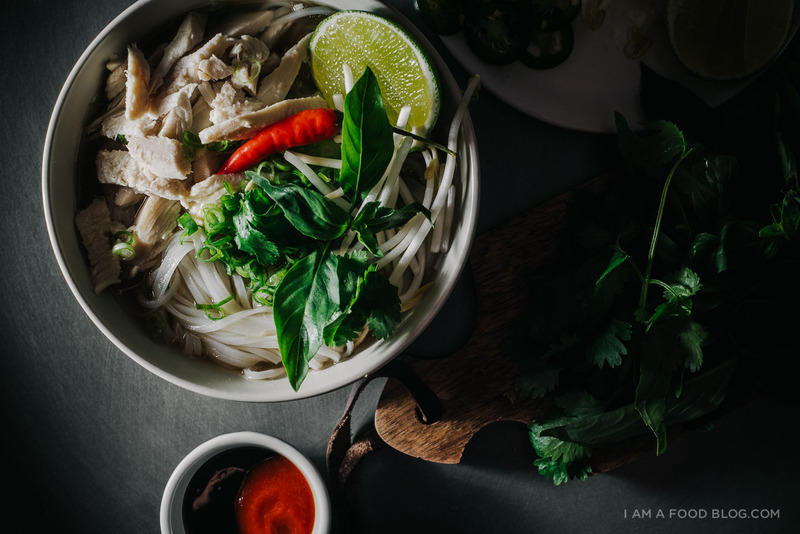 You have inspired me, I’m totally making chicken pho tonight (no turkey, alas). And I swear everything you post is like a photography class for me! Beautiful. I’ve had out of control cravings for soup since the cold came, and this looks so, so tasty. and what a unique way to use up leftovers. yum! Omg I want to eat this everyday! Nothing is better in winter than a hot noodle soup. Well, I know what I’m going to be making on Boxing Day from the remnants of our Christmas turkey. Oh December has got me excited too! Not only because Australia finally gets a chance to celebrate Xmas but i get to try dishes like this. Steph–I still love that story with the turkey bones! 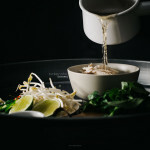 This pho looks AMAZE!! 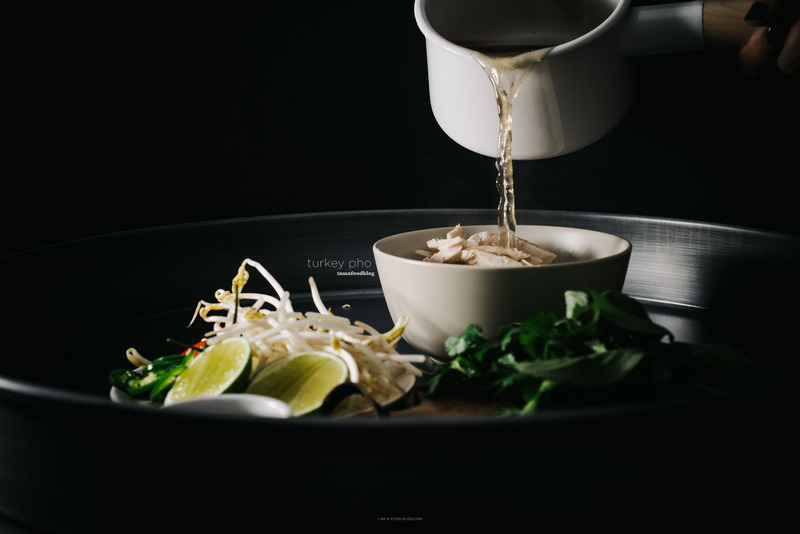 I wish I asked for the bones too, so I could make this turkey pho. Might just have to sub chicken because pho sounds great right now with this LA rain! I’m sure this tastes amazing, because these photos are so darn beautiful! Wow!!! This looks like an amazing way to utilize leftover turkey! 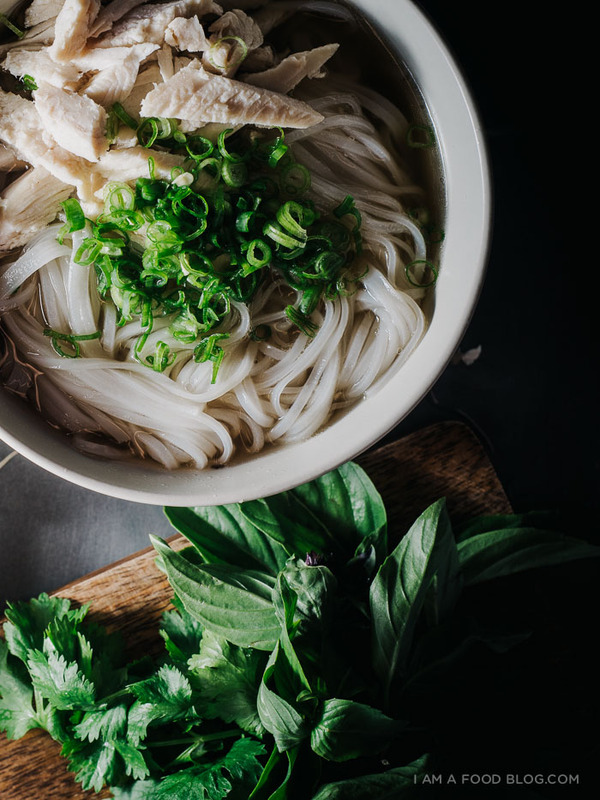 I still haven’t tackled pho yet, but I may just use this recipe!! Aw, how I miss pho! Though I do not eat turkey, I have been thinking a lot of making a veggie version of it. It’s probably not gonna be as easy as yours looks, but thank you so much once again for the inspiration! Oh this sounds incredible. Maybe this is sacreligious, but this gets me more excited than the turkey dinner itself! I think my Mom usually makes turkey stock with the bones after Christmas dinner, but I may just have to see if I can steal the carcass this time around. My auntie always makes either hủ tiếu or mì every year with the leftover turkey and bones. 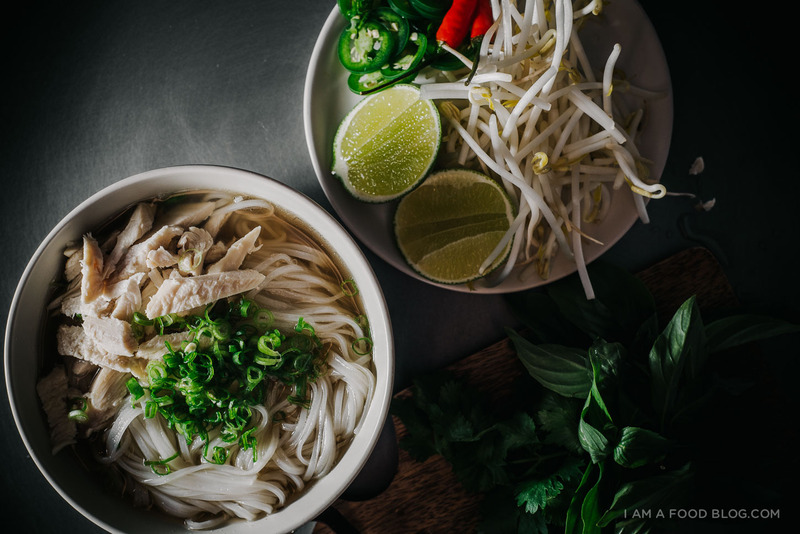 Turkey phở sounds like a great idea too. Btw, your photos are superb and such an inspiration! !